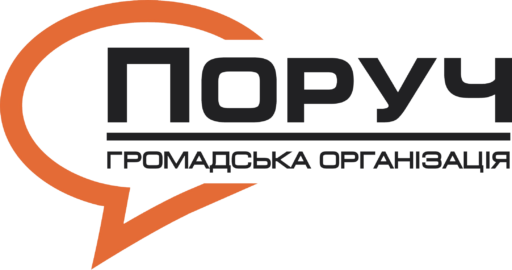 The settlements of Velyka Novosilka, Pokrovsk, Lyman, Svatov, Bilokurakine, Starobilsk, Bilovodsk, Novopskov, Troitsk, Rodynske, Selidovo, Sloviansk, Druzhkivka, Kostiantynivka, Kramatorsk, Sviatohirsk, Bakhmut, Borivske, Lisichansk, Sievierodonetsk have welcomed NGO “Poruch” representatives within the framework of the International Organization for Migration project : “Support for the consolidation and development of conflict-affected communities of the Donbass”. 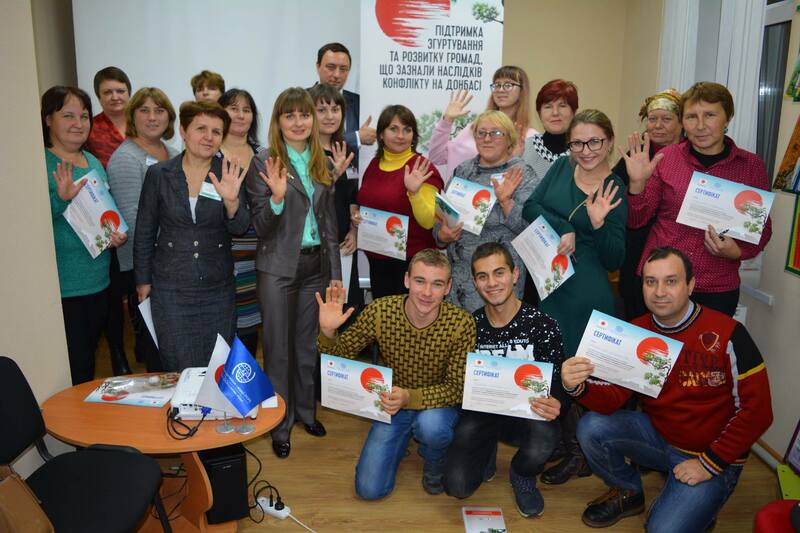 Community trainings on the theme of “Parship and Communication” were held for local activists with the assistance of NGO “Poruch” experts : Mariia Tyshchenko, Arsen Kelichavyi, Oleg Kulinich, Vira Usik, Tetiana Matusevych, Yuriy Orel, Oksana Melnyk, Svitlana Garashchenko, Oleg Sernyak, Dmitry Potehin. The municipalities of Seversk, Bilolutsk, Markovka, Toretsk, Hirnyk, Hirske, Bilytske, Novohrodivka, Popasna get acquainted with drafting of cohesion projects. During the training the following topics were covered : “Communication as a key component of social development”, “Levels and types of communications”, “Channels of communication in the community”, “Communication features to include deprived/marginalized and socially disadvantaged groups in community development”, “The essence and characteristics of communication between the different age groups in the community”, “The role of media and information technologies to provide external and internal communication in the community”, “The basics of participatory democracy”, “Mechanisms for community members participation in solving urgent social issues”, “Cooperation between the public, local authorities and businesses. Components and conditions for successful partnership”, “Tools to promote and support community initiatives (including public hearings, advisory and consultative bodies participatory budget)”. Training participants were able to learn the best practices of ensuring communication in communities, including resolving video cases. 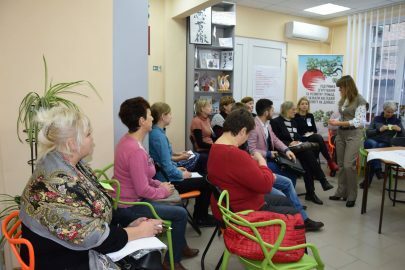 Among other, they worked in groups, performed various exercises, exchanged experiences, acquired and test new knowledge. A pleasant and positive atmosphere prevailed among the participants of the training, in a variety of the tasks and business games a good mood, sense of partnership, cooperation and mutual help prevailed. We wish to thank all of the participants and coaches for their service, new knowledge, new ideas, new approaches , enthusiastic dreams and strong hopes. 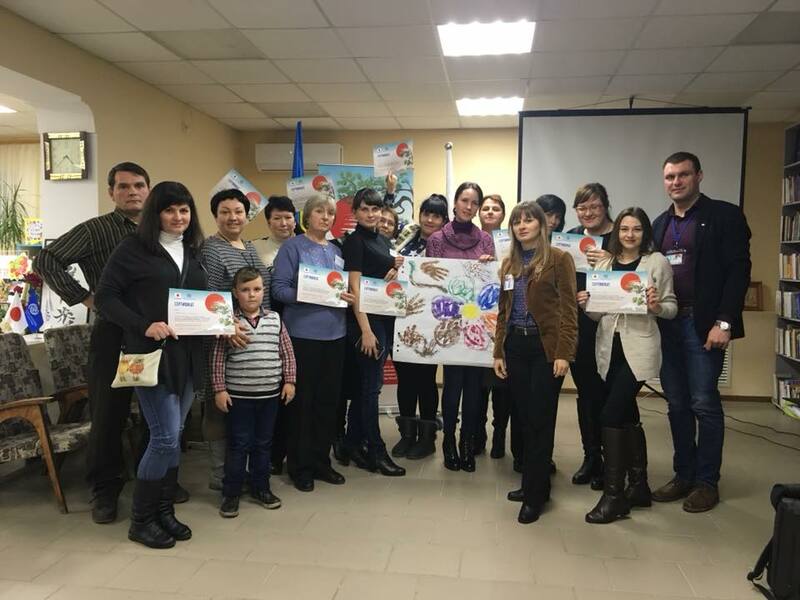 Upon completion, the certificates for the successful completion of the community development training in the framework of the project were presented to the participants.